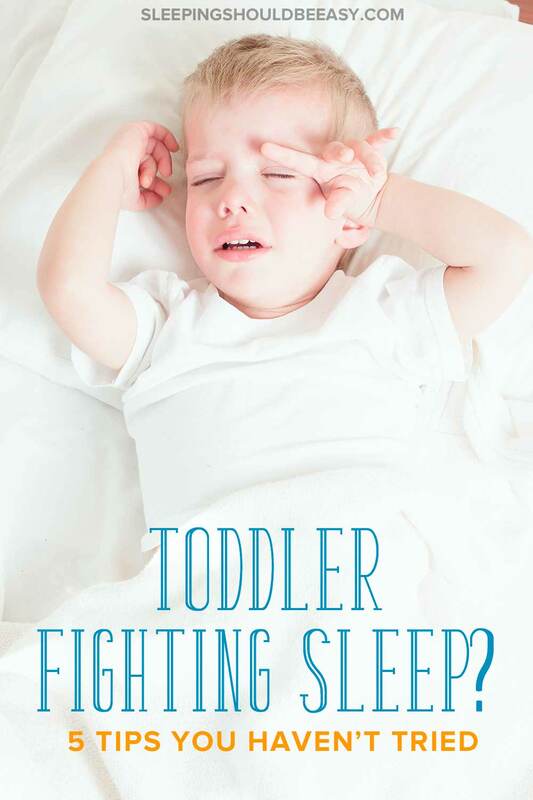 Is your toddler fighting sleep come bedtime and naps? Toddler bedtime tantrums are never fun. Discover 5 tips you haven’t tried to help your child sleep. This is a sponsored post written by me on behalf of Tradecraft Specialties. The opinions and text are all mine. Is your toddler—who usually goes to sleep with no issues—suddenly taking a long time to fall asleep? You’re definitely not alone. Many parents wonder why their toddlers, who had never had a problem with wanting to fall asleep, are now taking a long time to doze off. And I’m talking long. Whereas your toddler may have fallen asleep within minutes, he now takes anywhere from 45 minutes to an hour and a half before finally going to sleep. You’ve racked your brain on possible reasons, but can’t think of any. Your schedule and routine are the same, he isn’t teething—no explanation for why he’s now fighting sleep. And fight he does. From toddler bedtime tantrums to resisting bedtime with an amused smirk on his face, your toddler has gone from willing to defiant come bedtime. With both you and your partner working and barely getting any sleep yourselves, you realize you seriously can’t handle this any longer. Your toddler fighting sleep is draining other parts of your life and, to top it off, making you bitter and cranky. If so, rest assured that not only will this go away, but that you can do plenty to help move it along quicker. With three boys, I’ve had my share of kids resisting sleep in one way or another. I’ve learned which tricks work and that there is hope for the exhausted parent dealing with a toddler fighting sleep. We sometimes mistake sleep as just one part of the day—the nighttime part. We forget that sleep actually takes into account the entire day, and sometimes several days at that. And we also overlook the possibility that they’re developmentally ready for changes in sleep. How does this affect your toddler fighting sleep? In order to fix his nighttime sleep, you’ll need to look into his entire sleep schedule, and for his current age and stage. For instance, is he taking a late or long nap that might be making it hard for him to fall asleep? Perhaps he’s having a harder time falling asleep for his nap, so that by the time he actually falls asleep (and wakes up), it’s already late in the day. If so, see if you can drop to one nap in the middle of the day. Another option is to wake him up from the last (or only) nap by a certain time so he doesn’t sleep in too long. Is there also a chance that he no longer needs a nap? Older toddlers and preschoolers can sometimes go the whole day without a nap and instead would benefit from an earlier bedtime. That way, he won’t be overtired at bedtime (which can make it harder for him to sleep). It’s true that kids have energy they need to get out. Staying stationary too long during the day can mean your toddler is ready to play and goof around come bedtime. Aim for at least one outing that allows him to have physical activity during the day. Take him to the park, go for an after-dinner walk, make sure he’s playing often. You’d be surprised how easy it is for kids to stay stationary for long periods of time. Television and screen time are obvious culprits, but sometimes even calm activities like reading or crafts can prevent your toddler from being active. My kids’ pediatrician made an awesome recommendation that kids shouldn’t be in the same position for more than an hour at a time, except for sleep. That means if your toddler has been sitting playing trains for an hour, it’s time to move him into a new (and hopefully physical) activity. Now that your toddler has gotten his fill of activities for the day, it’s time to create an environment conducive to sleep. Frustrated when your toddler refuses to go to or stay in bed? Don’t compromise about going to bed, or at least staying in his room. Even if he says he wants water or just one more story, put your foot down on when bedtime needs to be. Be kind and calm, but firm in your decision so he knows what to expect. Instead of accommodating his every whim, do strategic check-ins instead. For instance, tuck him in bed and explain that it’s bedtime. If he cries or resists, set a timer and check in every few minutes, putting him back in bed each time. Don’t allow him to wander into the living room or your bedroom. And don’t give in for minor reasons that you suspect he’s making up just to get out of bed. Sometimes the issues we run into with our kids goes right back to us enabling them to continue with their behavior. As you saw, creating the right environment is important to helping your toddler go to sleep, and the same applies to his bedroom. Spend time in his room during the day so he knows this is a positive place to be in. Don’t send him away and alone in his room when he misbehaves, as this paints a negative picture of it. One of the best ways to make your toddler excited about sleep? Make his bedroom fun! The folks at Tradecraft Specialties know this all too well. Ken and Nicole are parents to two girls and now run a family-owned business, creating handcrafted and hand-painted bed frames for kids. Their story began with their older daughter’s transition from a crib into a toddler bed. 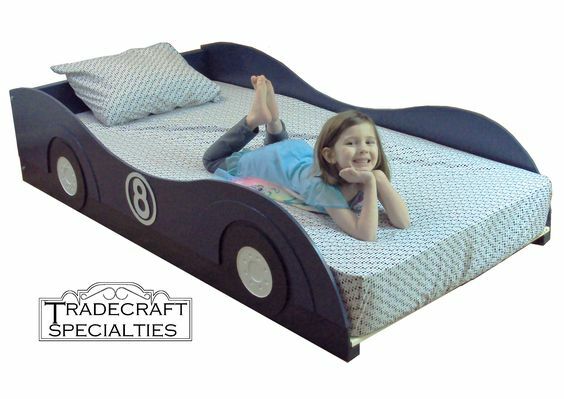 She wanted a race car for a bed—a purple one at that. Ken and Nicole couldn’t find a purple race car, so… they made one. 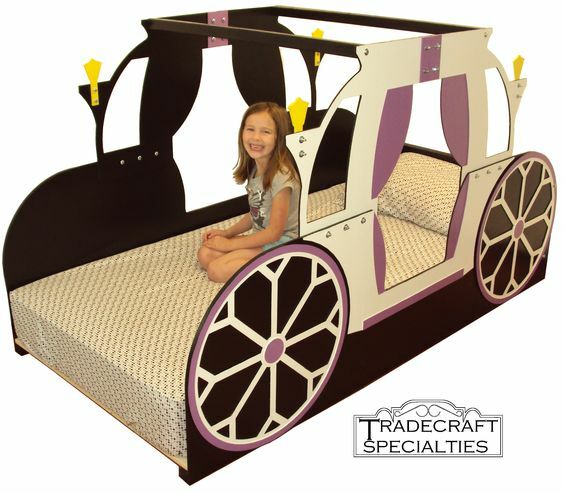 They saw what a difference having a fun, child-friendly bed made in their own daughter’s sleep and began to create more for other parents. 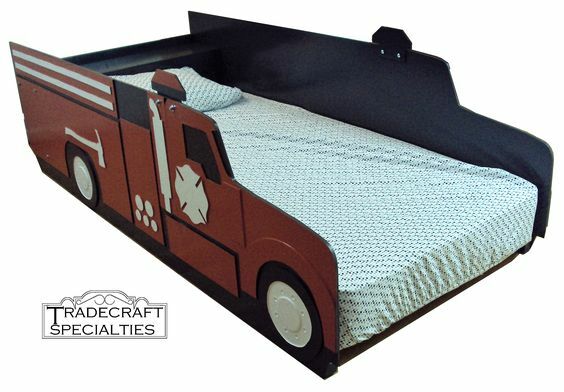 Tradecraft beds are designed to be durable and lightweight, minus any harmful glues or chemicals. Hand-painting each frame means using child-friendly paint that’s safe for kids. 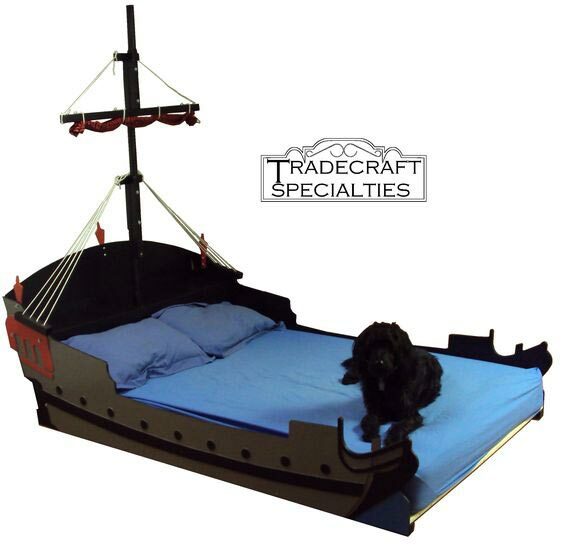 They’re also built around standard mattress sizes with no need for additional box springs. Plus, the beds are designed for kids and families. 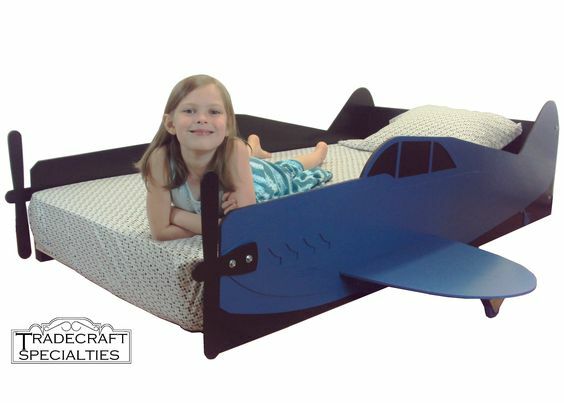 Your toddler can get in and out of bed easily (and the rail support on the sides keep him in place). Changing sheets is also simple—no more straining your back come laundry time! 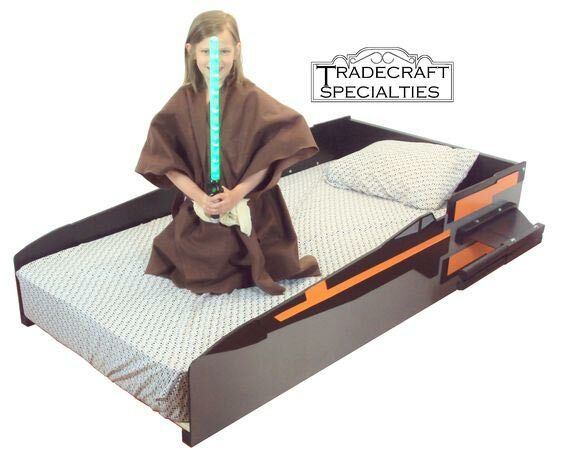 What I especially love about Tradecraft beds is that they’re also designed to be compact and save you space. 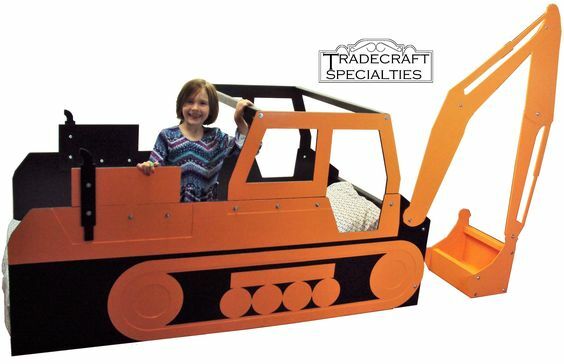 Your toddler can have a fun and whimsical bed that realistically fits in his room. You’re welcome, Karen! I’m glad the tips came in handy.